If your little one needs help getting to sleep, there are some tried and true methods that can help. Turn off the electronics: Turn off electronics at least 30 minutes before bedtime. If your child has a TV in his or her bedroom, seriously consider moving it out. Research shows that kids who have a television in their bedrooms tend to sleep less. Create a calming nighttime routine. Winding down each night with the same calm routine — bath, book, tooth brushing — signals that it’s time for sleep, especially for younger children and kids who have more than one home. Be consistent with bedtime and rising time: Keep the same bedtime and rising routine on the weekends as you do during the week. Consistency helps good sleeping routines become a habit. Promote physical activity and exercise. Kids who are more physically active during the day take less time to fall asleep, sleep longer, and seem to have a deeper sleep. In addition to exercise helping kids sleep better, sleep can decrease the risk of being overweight. Establish a relaxed bedtime routine. The routine does not need to be elaborate; however, it should be something your child looks forward to each night and considers a special time. This can be as simple as reading a favorite book in a special part of the room, having a bath to soothing music, eating a snack and then brushing teeth, singing a favorite song, saying a prayer, exchanging highlights of the day, or even a special bedtime kiss-n-hug ritual. A good night’s sleep can help your child think clearer, perform better in school, stay focused for longer periods of time, and can even help fend off bad moods! 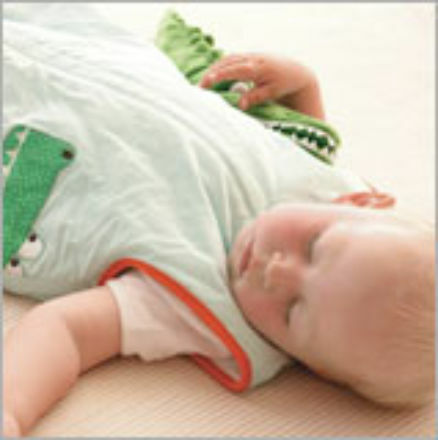 Lastly - a comfortable baby mattress is essential.